Check all our Fresno Favorites! Look around Fresno or any Central Valley city and you'll find beautiful japanese maples. Though Fresno is not the best climate for these 'small' trees they are adaptable to many environments. 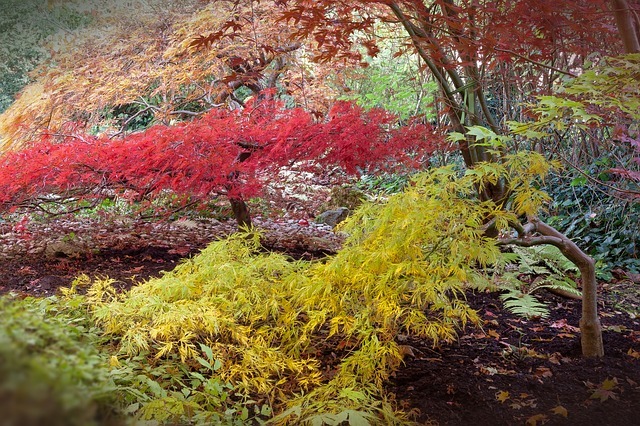 The common green maple (acer palmatum) will do well in full sun with the outer leaves showing some heat scorch in late summer. Hot summer winds can also dry out tender new growth. Red Japanese maples like BloodGood, Oshio Beni or Emperor 1 do not fair as well. Best to plant them where there is shade by early afternoon. 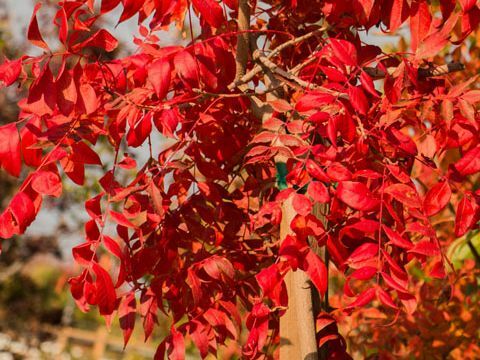 An odd feature of 'red' maples is that the sun drives the red pigment in the leaves, too much shade causes them to look greenish in summer. It's a 'catch 22'. Seiryu maple is a narrow leaf green variety (dissectum) that grows well in full sun. Upright 10-20 ft tall, its delicate appearance is a great addition to any garden. Lion's Mane Maple is a slow growing green variety with 'tufts' of curly leaves. Best for filtered shade. Coral Bark maple (sango kaku) is a light green leaf variety that needs afternoon shade. It's best characteristic is in winter when the leaves are off. Cold weather turns the branches coral pink for a spectacular winter display. All maples like rich well drained soil. Slow release organic fertilizers and extra potassium will minimize heat scorch. Pruning maples is a little different than regular trees. It would be simpler and easier to explain if you visit the nursery. Ask for Leonard. 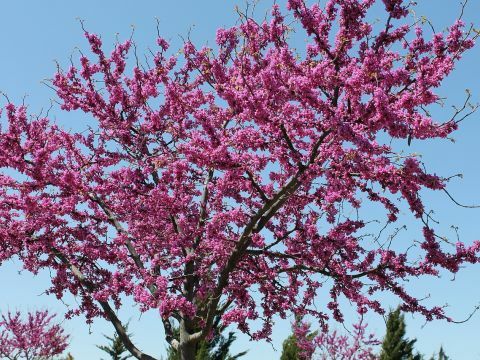 A small deciduous tree with spectacular small deep purple flowers in early spring. Shiny deep green leaves in summer. Leaves turn to warm yellows in fall. Strong medium to large shade tree. Well rooted. Withstands harsh soil conditions. Superb fall color. Choose male trees to avoid seeds in the fall. Large, strong, evergreen tree. Ideal for large areas. Can be pruned to reduce size. Large deciduous tree with graceful arching branches. Fast growing, with flaky trunk. Short and squat, and rarely exceeds 26–49 ft in height. The silvery green leaves are oblong, measuring 1.6–3.9 in long and 0.39–1.18 in wide. The trunk is typically gnarled and twisted. 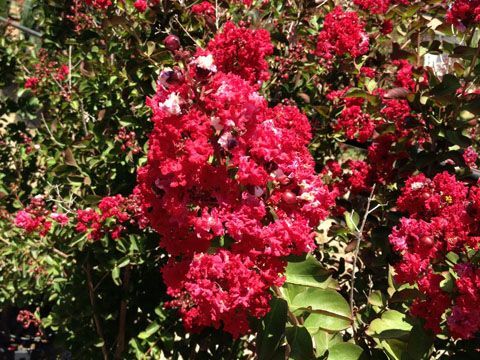 Chiefly known for their colorful and long-lasting flowers which occur in summer. While all species are woody in nature, they can range in height from over 100 ft to under 1 ft; most, however, are small to medium multiple-trunked trees.